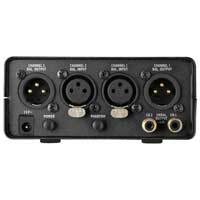 2 microphone inputs, XLR, bal. Subsonic filter 15 Hz, 18 dB/oct. 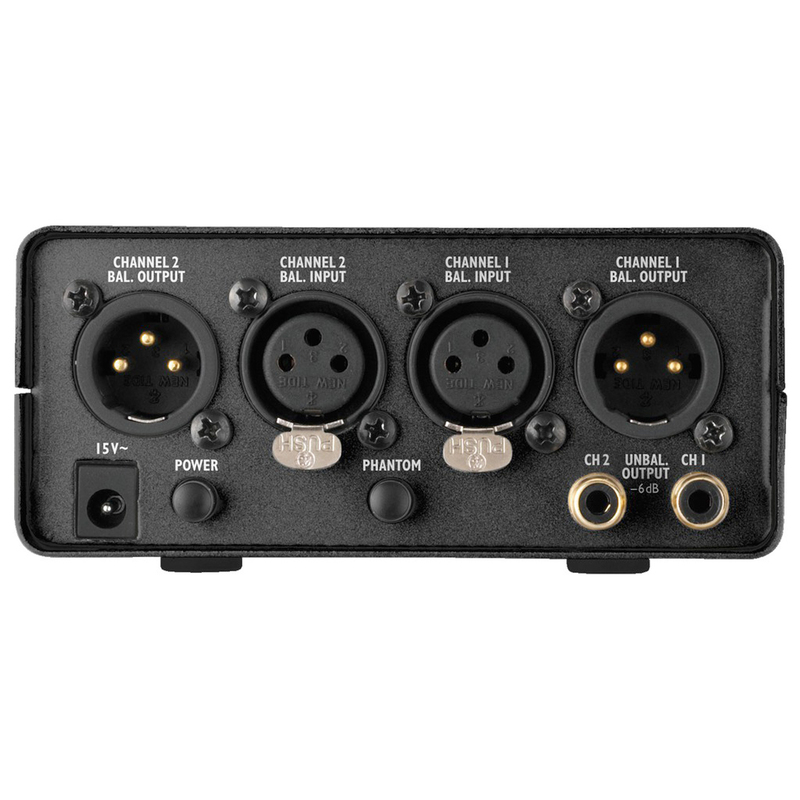 2 line outputs, XLR bal. 2 line outputs, RCA unbal. : 4.4 kOhms bal., 2.2 kOhms unbal. 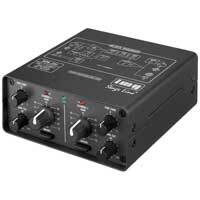 : 1 V/600 Ohms, 7 V max. Filter, subsonic: 15 Hz, 18 dB/oct.